Amy Rosenfeld - ESPN Press Room U.S.
Amy Rosenfeld joined ESPN as a producer in 2007 with extensive television sports production experience working in soccer and other sports as a freelancer for ESPN and NBC. 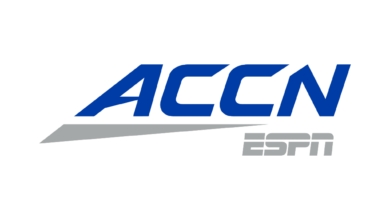 Since joining ESPN, her leadership and success overseeing major events at the company has led to increased and varied responsibilities across different sports, including recently being named the head of production for ACC Network – a comprehensive linear and digital network by ESPN and the Atlantic Coast Conference set to launch on August 22, 2019. Rosenfeld will lead hiring of on-air announcers, development of show concepts and the overall look and feel of the network. In addition, her role (since 2017) as senior coordinating producer, has Rosenfeld overseeing all soccer content as well as motor sports on ESPN linear television networks including the Indianapolis 500 on ABC. In 2016, she led ESPN’s unprecedented and critically acclaimed coverage of UEFA European Football Championship 2016 from France with a live studio presence originating from a set on the banks of The Seine with a backdrop that included the scenic Eiffel Tower in Paris. As producer (2007-2011) and coordinating producer (2011-2015), Rosenfeld was part of ESPN’s senior production management team responsible for the company’s award-winning presentation of the FIFA World Cup South Africa 2010 and the critically acclaimed FIFA World Cup Brazil 2014, the company’s most successful and most-watched FIFA World Cup. She also oversaw ESPN’s coverage of FIFA Women’s World Cup Germany 2011, the English Premier League (2011-2013), as well as other major international soccer events – FIFA Confederations Cup, UEFA European Football Championship 2008 and more. Rosenfeld joined ESPN after working as freelancer on numerous soccer events for ESPN and other networks since 1997. Her experience includes serving as the lead producer for every English-language telecast of the FIFA World Cup and FIFA Women’s World Cup since 1999 in the United States. Rosenfeld produced the 1999 FIFA Women’s World Cup, serving as lead producer for the world feed for matches featuring the U.S. Women’s National Team, and for what was the most-watched women’s soccer telecast in U.S. television history until 2016 – the 1999 FIFA Women’s World Cup Final with 18 million viewers watching on ABC. Prior to joining ESPN as a fulltime producer, Rosenfeld’s production credits include WNBA on Lifetime (1997 – 2000), and Olympics Men’s and Women’s soccer on NBC Sports (2000 and 2004). She has also produced NCAA men’s and women’s basketball telecasts, NCAA Men’s Frozen Four (2003 – ’04), NBC’s Winter Olympics (2002 and 2006) and ESPN’s Winter and Summer X Games (2008 – 2010). A native of Concord, Mass., Rosenfeld began her sports television production career as an intern at the New England Sports Network (NESN). She returned to NESN upon graduation from Colorado College and increased her responsibilities to eventually include coordinating producer for Boston Bruins NHL games and Boston Red Sox telecasts.